Kenneth Irby’s first pamphlet, The Roadrunner Poem, appeared as the fourth issue of the journal Duende in April 1964. Forty-five years later his Collected Poems (2009) appeared as a massive document of one poet’s engagement with the process of the poem and the poetics of its statement. More than a shadow falls between the early and the late appearances of Irby’s poetry. Like most collected poems, this volume defines a career in writing and, when set against the literary history of its time, punctuates its achievement by the influences it absorbs, the modes and fashions of contemporary poetry it either acknowledges or rejects; it registers a poetics of an articulate sensibility driven, or at least dedicated, to making language and poetic form define themselves. Publishing such a book is no simple matter. The book brings together into full public notice the poems the poet accepts. In asking for a fair reading it must acknowledge the risk of rejection, the intemperance of the literary world, while hoping for praise, understanding, and confirmation of the writing life of the poet. The geography of Kansas and the Great Plains came into the early poetry as a dominant theme, as dominant as the poet’s various relationships with that geography. Many poems began by setting out the scenes, the lines of hill, fields of grass, rivers, and even mountain ranges of the landscape further west. Early explorers and travelers were as important as the streets and families of Fort Scott and Lawrence, Kansas. Irby’s high school days became a point of reference, as did a sense of finding home, more a fluid relationship with geography than a physical building. Relation: Poems 1965–1966 (1970) was the first collection and in it Irby expanded his themes under the directive “We have approached the fact of this land / as body as alive as our own” (118). He explores the relations with the land, with people, history, and his own memory; the attention to “modes of relation” (493) appears throughout the poems. He includes not only perceptions of his attunement with the landscape, but a recognition that the experiences of the early explorers of the West like John Wesley Powell and Clarence E. Dutton are inherent in the energy of the places they walked. In Relation and in To Max Douglas (1971/1974) with reiterations of historians and politicians of the plains, these ideas grow into a complex concept of geography found, for example, in James C. Malin’s book The Grasslands of North America. “Delius,” first published in the journal Io, in 1973, is a pivotal poem in the advancement of this collection. In this poem Irby includes multiple quotations from books about Delius, and cites other references as well, in an acknowledgment that a poem can take place in a field of information which also includes the perceiving poet, but without the interferences of an ego. Irby confirms his position in an actual and an imaginary landscape of his own making as he also confirms the processes of open form composition by quoting directly from the poems and essays of Charles Olson and Robert Duncan. The following collection, Catalpa (1977), reviews ideas of geography by expanding the habitation westward to Berkeley and eastward to Medford, Massachusetts, and then subsequently further eastward to Denmark. In Denmark (No: a journal of the arts 2003) explores the need to come to terms with personal love and a new landscape. After In Excelsis Borealis (1976) and Archipelago (1976), Call Steps: Plains, Camps, Stations, Consistories (1992) contains poems written 1977–1979 and transforms the geography of the plains to the geography of the imagination. From the start, Irby is a poet with a visionary imagination whose poems insist on a pastoral setting — “Pastoral poetry poetry // that feeds us, pasture (258) — and that setting stimulates the impetus toward the moments of vision and then the memory of the vision. In a “Preface” to Relation, Irby mentions two concerns of pastoral: “a calmness, a quietude of the whole being, derived from all attentions and awareness; and a feeling of great closeness with the vegetation lived among — an ecological calm” (93). Compounding present seeing with later visionary memories pushes understanding into an essential concern of his evolving poetics. He wants to make poems “out of small irreducible sensual wholes” (429). In “Delius” he writes: “These are the duties to find a new vocabulary” (237). Finding the fitting language to express the visions of “irreducible sensual wholes” transforms the poems into meditations about the process of poetry itself, and the inclusive necessity to live a full physical life attuned to the process of recurring points of energetic seeing. Fifteen years separate Catalpa from Call Steps and now seven years separate Call Steps from the next large collection, Ridge to Ridge: Poems 1990–2000 (2001). Again the processes of meditation and finding the language of the imagination pervade these poems as they propose parables as a means of expressing what is certainly without form or substance. The process of the poetry in an open celebration of creative seeing appears in poem after poem, each trying to articulate the things seen. Studies: Cuts, Shots, Takes (2001) begins another cycle of discovering, uncovering the fitting language. A quotation from Robert Duncan — “But this consonance I seek between actuality and the poem is not easy” (565) — leads these “etudes of massive block sonority” (567) from proposal to proposal of a solution to “consonance” in one unterminated study after another. The poems in this section are shorter than the untitled pieces in Ridge to Ridge and follow one after another without a considered narrative; if there is a possible cohesion, that would come from the imbedded process of claiming consonance in the flow of words. Then a section of “Uncollected: 1964–2006” concludes this volume by filling in the record of the cycle, and presumably introducing the poetry of the next cycle. In a review of Catalpa, Thomas Meyer recognized in Irby’s poetry of vision elements of Gnosticism, which he traced through Zwingli, Luther, Valentinus, Emerson, and Thoreau with references to Pound and Yeats. The poetry of vision, including Irby’s poetry, is part of contemporary American writing. Edward Schelb in another review wrote: “In my mind, Irby remains one of the essential visionary and religious poets of my time, with Gnostic madness and nonsense and paradoxes combined with — above all — a most remarkable generosity of spirit. …” Visionary moments and the process of finding the means to express those moments occupy a major part of Irby’s poems. His is not a denominational vision nor religious in any institutional sense, but it is a perception of the holy. He calls it divinity. At one point he quotes Cicero, “there is in mankind a certain faculty of divinization” (493). Rudolph Otto, in his book The Idea of the Holy, calls such perceptions of divinity the numen, an uncanny awareness of the presence of the holy in ordinary events and objects. This view of the presence gives clarity to the idea without limiting the discussions by conventional issues and terms. And later in the same poem, “Looking quietly for the place,” the sense of fullness of life itself expands to an attunement, a revelation of relation to the forces of the world. Such perceptions are not minor events, but an “insight of the flow” (331) “mere flow” (331) of life itself. “So there the heart quickens, seeing images of its inner secrets, it had guessed before”(305). The “unattended stray memories, everything, in the throw of the vision, in the catch of us in the vision” (335), which arrive as momentary and fleeing points of light, the numen, without substantial form, obligate the poet to make “allegiances to the clarity” (430), or a clear and telling means stating them in words. The moments are accompanied by light and movement in or out, across and back, East to West or back again but the flow they enact resists visual statement and so inspires both fear and longing — “for solitude and grieving are also instruments of vision” (537). Despite the many associations Irby cites with other poets, he knows that using the language and experience of others moves the momentary experience into the language of others, away from him, so he remains dedicated to generating his own instances of perceiving the visionary numen in the sounds of words. The idea of the holy numen runs through this present volume, as one poem has it — “through the double reinforcing veils of waking and of dream” (535) — and, as another insists, divine sense of vision permeates the entire collection “through the leaves and branches into and through the dimension, through what stare stares into and through” (551). Geography, landscape, and vision are the most important themes, but, in addition, there are several other key ideas that make up the complex poetics. The early explorers and travelers in the American West, and then the later historians of the people and geography, all contribute to the energy of the place which generates into the present. The relationship with the landscape and with other people, human love, its loss and fulfillment, inform the poems. High school experiences, the search for “home,” and the search for self appear intermittently along with some favorite figures like the wheel, birds — mainly crows and jays — and the movement of spirit “through” a landscape or human meeting. The statement of the poems changes into the process of the poem finding the terms of its own articulation. Final termination of a poem or the conclusive stopping of meditation disappear; in the course of accumulation the poems achieve a process of parables which initiate open forms of expression. Even while giving a quick overview of Irby’s collection, including coverage of his proposal of an open-ended poetry of parables and process, this essay does not pretend to offer a full discussion of the poems. That is a project for a book-length study. Instead, this essay is more a review and introduction to The Intent On than it is an extended study of the whole volume. The following discussion of some recurring elements and figures of Irby’s poetry borrows Irby’s subtitle “Running Lights” from Call Steps. And this discussion focuses on key terms that provide entrances into the poetry as well as a way of relating parts of the whole collection. The third section, “Applications,” attempts reading three poems, again, as a way of opening passages into the collected poems. His journey is toward the earth, the forest and mountains beyond “the Pan American highway” (23), but also through the landscape to the moon, or the life of the imagination. The poem concludes that the landscape is the habitation of the self interacting with the earth, but the goal is the illuminated light of the imagination. The canyon contains some of the energetic presence of previous inhabitants, almost like a residual event, and that energy projects into the present to become part of the energy inherent in a particular place where events took place and people lived. Max Douglas as a poet, and then Irby, inherits the energetic residue of all the previous ages, action and people of the Great Plains and these forces are operative in the actions of people in contemporary Kansas, so the past superimposes itself on the present. Irby begins Catalpa with several definitions of the word “landscape” and a listing of scholars and their essays and books about the Great Plains, including Edgar Anderson, “The Considered Landscape”; Charles Olson, “Letter to Elaine Feinstein”; Carl Sauer, “The Morphology of Landscape”; and James C. Malin, “On the Nature of Local History.” In other places he mentions Dale Morgan, Jedediah Smith and the Opening of the West and Josiah Gregg, The Commerce of the Prairies; Lewis H. Garrard, Wah-to-yah and the Taos Trail; Walter Prescott Webb, The Great Plains; and James C. Malin, The Grasslands of North America. Features of the landscape and ideas of geography appear in almost every poem of Catalpa. In To Max Douglas and Catalpa, Irby moves closer to Carl Sauer’s ideas of “cultural geography,” not simply features of landscape but a container of various cultural and historical events. The thing to be known is the natural landscape. It becomes known through the totality of its forms. These forms are thought of not for and by themselves, as a soil specialist would regard soils, for example, but in relation to one another and in their place in the landscape, each landscape being a definite combination of form values. Human societies and events of travel, discovery, and founding communities interact with the features of the land to create the cultural geography of the place. In later poems, Irby modifies this concept to include his imagined landscapes, and (as in “Delius”) the ones he creates by superimposing the forms of one place onto the forms of another place. Irby has taken “a long journey across the land” (274) to California, a landscape very different from the uncompromising flatness of the plains, so the poems are full of references to fog, mountains, forests, and vistas, even references to the Spanish Governor Gaspar de Portolá (272) and the great British sailor Sir Francis Drake (259). “Jed Smith and the Way,” a central poem, chronicles a driving trip from Berkeley north through California to Eugene, Oregon and back again. Part of the trip follows approximately the same routes — or at least analogous routes — Smith took in his trip north in the nineteenth century, but Smith’s journey as well as his death by Indians on the Santa Fe Trail are part of the modern trip, inherent in the movement forward. The old trip inhabits the modern trip and is part of the places, towns passed through and rivers crossed. In another section of Catalpa, Irby takes his sensibility of the plains eastward to Medford, Massachusetts, and so the poems struggle with the geography in the movement from Chicago to Boston. Governor Winthrop has a place now as does Giovanni de Verrazzano, who explored the coast of New England, and both exert the same kind of presence as a reappearance of Albert Pike, a Confederate General and a strong supporter of the Masonic Scottish Rite. Through Catalpa, Irby has firmly established the presence of landscape and geography, but that presence in the poems following — In Denmark, Call Steps, A Set and Ridge to Ridge — becomes more a metaphor in the process of meditation than a sustained demonstration of geographical features. He confronts the new European landscape by viewing it with the memory of the American scenes, even as he celebrates human love, and in the later poems landscape becomes metaphor in the parables trying to define a visionary experience and trying to find a vocabulary of that visionary experience. The sustaining sense of geography and of the relations with the land are subsumed into the developing poetics so that they become intertextual references. The journey to the vision of home extends from high school through the whole volume. The defining experience appears early in the book. “War I knew came home along the corridors of high school” (277), a time of loneliness, “like the ache of high school graduation night unsatisfied” (345), but also a recurring memory of visionary seeing — “The society of ordinary / high school days, never left, will it? (417). Their powers are praised — “what can be known of the heart any more than of the colloquy of the crows in the field out the window” (527). “Crow calls” (551) come in contrast to the shrill call of the “Canada jays” (135) — “a bluejay shrieks to-be, insatiate, in the next tree” (536). While the themes of geography and vision, the figures of home, high school, the wheel, paradise, and crows as well as certain key words like “line,” “direction,” and “through” recur throughout this collected poems, Irby’s poetics are also based on ideas of form and the relationship of information inherent in the poem to the internal movement of thematic and formal elements. Sorting out the internal workings of a poem is every bit as important as knowing what the poem says. Irby’s tribute to the music of Delius was published first in Io (1973). “Delius” is a poem with sections numbered 1–8, like other early poems — “The Roadrunner Poem” with thirteen sections, “Kansas–New Mexico” with six sections, and “Solstice Set” with seven sections. The later poems in sections are not always numbered, so the series in “Etudes,” A Set, and the poems in Ridge to Ridge are parts of a continuous meditation without being numbered as such. The same is true of the eight untitled and one titled poem in “Heredom.” While the numbers give a direction to the early poems, the later series can be entered at any point without the direction of numbers and without violating narrative. In “Delius,” as in the later series, there is no sustained plot or narrative, other than the insistence on finding a means of writing out what has been perceived. Each of the eight poems takes advice from stories outside the poem and each gives a version or a portion of the meditation without adding to a plot or a narrative. The numbered sections provide breaks but not rhetorical connections between them. Section 1, as a way to explain a dream about Delius’s song, “The Walk to the Paradise Garden,” tells stories from Delius’s fourth opera, A Village Romeo and Juliet, where the song appears. The song from the musical Kismet, “A Stranger in Paradise,” comes to mind as a song from high school days, as old perhaps as a Russian “Polovetsia” dance tune. In remembering the opera, the section mentions Sali and Vreli, Romeo and Juliet, meeting the dark Fiddler who warns them not to cultivate a field; the whole scene moves from a church resembling those in the paintings of Caspar David Friedrich. The young lovers are fully enthralled with one another in preparation in their “ache of savored regret,” to love one another or perish. The section ends with a quotation of Delius’s response to “On Hearing the First Cuckoo in Spring”: “This is the most heartbreaking music in the world” (232). Section 2 is a commentary on the first section, mainly to the “sensualist” (232), Delius, who risks sentimentality in the opera of young love, trapping “the pain of parting / the endlessness of the moment of leaving / this world, this only world” (232). The section ends, again with a quotation, this one from the program notes for Delius’s composition, Requiem; “human life is like a day in the existence of the world” (233). With the juxtaposition established, the next part of the section (separated by a small emblem) quotes Walt Whitman about his difficulty in finding what he wanted to say, and so inserts him into the imaginary landscape of Norway/Coast Range inside the conversation at Delius’s house at Grez-sur-Loing in France. The following part lists quotations by Delius about overcoming the difficulties of writing music, about the necessary persistence of composition at the piano, even with “his too long fingers” (235), according to Fenby’s account. The next part begins “lost in the night music of the Loing / or in the redwoods at Hendy” (Hendy Woods, Mendocino County, California) or in the joining of the imaginary geography, then with a report from Philip Haseltine (aka Peter Warlock, British collector and composer of songs) that Delius said California would be better for D. H. Lawrence “than Florida” (235). With references to the song “Hy Brasil” and then the Irish Islands, the poem joins Norway and Mendocino, where, in this imagined landscape, Delius (who in his old age was crippled by syphilis) was carried to a mountain “exactly at the moment of sunset” (235). The next two parts again quote Delius’s views about finding his means to write music first at “Sloane Grove” in Florida and then in France. The poems superimpose the cottage at Solano Grove on a cabin of a friend, Lowell Levant, in the Coast Range, and end with an incomplete statement: “the direct line in whose gaps” (236). The next part is another quotation from Delius, via Fenby. “A sense of flow is the main theme” (236), while the final part reports that Arthur Hutchings, in Delius: A Critical Biography, joins Delius’s choral composition, Song of the High Hills, with a section from Richard Jefferies’s The Story of My Heart called “The Hill Pantheist” as if the two “confluences of an English contemplation” (236) were the figure of an explorer sailing “South” “to the furthest reaches of the continents” (236). The section finds relations between actual and imagined landscapes, and marshals several quotations from Delius as well as Whitman into the meditation about the impulse to create whether in words or in music. Section 4 directs the poem and provides the informing statement for the entire collection. In “The Roadrunner Poem” Irby quotes a passage from The Grasslands of North America: “No line on a map can be drawn to represent in any realistic manner the actual conditions in nature” (13). The word “line” recurs in the poems to specify the means of depicting imaginary and actual events. For Malin, depiction is incomplete and so a version of a physical event. Many poems touch on this theme; the previous sections of “Delius” have made observations about the difficulty of writing poetry and music, but this section lists eight “duties to find a new vocabulary” (237) to express the momentary visions, which, since high school, have appeared in Irby’s writing. The first, “Du mußt dein Leben ändern” (237), comes from the final line of Rainer Maria Rilke’s poem “Torso of an Archaic Apollo,” and demands a change of life in order to fulfill life. Four quotations follow about seeing the “gap between the world,” the “twilight,” about the attraction to the “voluptuous longing for the beyond,” about seeking “vision with aggressive and adventuresome masculinity,” and about challenging “the limits of expressibility” (237). Despite being in quotation marks, these directives are probably Irby’s commands of accountability to himself in the manner of Robert Duncan’s “Imaginary Instruction” from his “The Venice Poem” quoted in Irby’s poem “[‘the Heron of Oblivion’]” (441). These directives are meant to find a new vocabulary to express the visions seen, and not to use the expressions of others. These directives are then followed by three more quotations by Delius reported by Fenby. The new theory of writing, of depiction, will emerge with profound relations with Delius’s authority in composition. The immense longing helps explain Vanamee’s trips “South into Mexico with the sheep” and then “the Great Circle back to California” (239) — “A great / circle without touching California” (123) from “Relation” — as well as Delius’s move to Solano Grove south of Jacksonville and Arthur Conan Doyle’s references to St. Augustine in his story “Five Orange Pips.” Similar travels appear in John Buchan’s espionage novels: “crossing and recrossing / the natural mystery” which then contrast with Charles Olson’s withdrawal from the journey in “Maximus of Gloucester,” “my balls rich as Buddha’s.” The journey is nonetheless still “burgeoning” (239). After another reference to Jefferies’s The Story of My Heart — “we are murdered by our ancestors” (239) — “their [Delius and Vanamee in sexual matters] feet joined is some instant // triskelion wheeling beyond longing” (240) again go past (“wheeling” like the Great Wheel of the Plains) the “longing” that initially motivated them into a medium of perception without a vocabulary. The next part consists of five quotations again from Jefferies about the mystery, the immensity of the imaginative effort and the following search for a spiritual meaning beyond physical existence and beyond immortality. As in other sections of the poem, the quotations are brought into the poem as part of the process of infusing the poem with a body of information. This practice led Jed Rasula to call Irby “a sort of angel of the quote.” The section ends with a single quotation as yet unidentified: “I have always loved the far, wide distance” (240). Even after all the examples of journeys and joining of them, the search goes on. In section 5, Irby has joined and combined the work of people, attempting to find one in the other or to find a common longing in the necessity to create. In this section, he cites Percy Grainger’s remark that “he heard in Ellington likenesses to Delius” (241). The connections were already established. In the second part, he maintains that Ellington actually “really liked to hear / his own music” (241), but the poem speculates on Ellington’s posthumous album Reminiscing in Tempo (1975), and finds influences of Delius’s compositions in Florida and examples of the early influence of Grieg and of the German romantic composers on Delius to make “as melted / pot as America ever said it wanted” (241). Then the poem shifts around to find a “dance band sweetness in Delius, or perhaps a reference in Ferde Grofe’s ‘On the Trail’ (a section of Grand Canyon Suite) in Koanga” (242) (an opera by Delius) to “renounce” the idea of Bix Beiderbecke playing one of Ellington’s solo piano compositions, “In the Dark,” and then playing songs he had performed to great acclaim on his cornet. Such an evening at Delius’s house at Grez would be something like Hart Crane, after the death of Harry Crosby (publisher of the first edition of The Bridge), reading his own poem The Bridge “pilgrimaging on his way to the Mediterranean” (242) where Melville travelled, not with Hart Crane, but always with the presence of Whitman around. Section 7 offers another joining, this time of Delius and the geography of the Coast Range. His struggles with syphilis are thought of in terms of crossing the Coast Range so that his accomplishment in music and following his longing rearrange “the felt directioned lines of force” (242), an actual accomplishment but fulfilling neither the idea of the “Old World” nor European principles of order and achievement nor “Atlantean,” ideal accomplishment in an ancient manner. The densely packed lines could be saying something like: the study of man in the various ice ages is not the same as the American desire to extend its empire through to the Pacific Ocean, but that desire for empire could be something like a humanized, dying Elephant palm trying to reach the stars, which appear as the star Deneb in the constellation Swan (Cygnus) forming an umbrella over Bolinas. Even such desires lose their way for “that barely remembered home,” a visionary attunement with the landscape. The “Leader of the Wind” shows a magical sign for entry into visionary wonder on “a painted hand” (243), a sign similar to one in To Max Douglas, “as on the palm” (201), or “the palm of the hand held up to the setting sun” (333) in “of the Sons of Morning.” However, the “wind that holds Direction” — “felt directions of force” (366) in a later poem, “ROBERT: ‘where we only once’” — withholds the keys to the language. The direction will be found not by scrutiny of physical fact, “the mound underfoot,” but in “the starry horizon.” The poem ends by quoting the final line of Richard Jefferies’s essay “On the Downs”: “the soul knows itself, and would live its own life” (243). “Delius” is a complicated, highly referential poem. After taking up Delius as a sensualist in his opera A Village Romeo and Juliet, the second section shifts to Delius’s Requiem. Other sections follow this pattern of depiction, a stop, and then another version starting in the next section without formal transitions. The poem imposes the landscape of Delius’s Norway onto the Coast Range of California, “as if on Tamalpais, exactly / coincident with that peak in Norway” (235), in an imaginary act bringing Delius closer to home. The poem then establishes Delius’s authority by giving him a voice in the poem with directions quoted from Fenby’s Delius as I Knew Him and references to Arthur Hutchings’s Delius: A Critical Biography, and Richard Jefferies’s The Story of My Heart. The individual meditations in this poem occur surrounded by rich information which enters the poem and stretches the range and depth of its statement. The fourth section lists quotations without connections in separated lines, but these enter the poem with ease based on the previous series of quotations and references. The directives for a new language clarify the directions of the meditations. So the quick shift to Vanamee in Frank Norris’s novel Octopus is not startling; the concluding quotations from Jefferies’s book present it as another version of the same meditation trying to uncover a new language attuned to the landscape of California. Finding relations, or unearthing one frame of reference inherent in another, pushes the meditation, then Percy Grainger finding Delius in Duke Ellington leads to another stretch of Delius’s authority in the history of jazz, with associations with Hart Crane, Harry Crosby, and Walt Whitman. With Delius’s story imposed on the geography of the Coast Range, a shift takes place “widely rearranging the felt directioned lines of force” (242) of both the landscape and imaginative actions that invented that landscape. The shift then appears in the process of the poem in its final section seeking through a series of dense metaphors to exact the activity of a new language instead of trying to put the vision forward as a clear visual image. The sensualist power of Delius will “live its own life” (243) in the process of language articulating itself. The memory of the early experience remains active, informing the contemporary view with the past perceptions within the duality of “releasing and attracting” (417). This version tells an imaginary story of regaining the action of the memory as an aspect of the poetics of finding the new vocabulary. While the poem relates itself to a previous poem, it relies on the process of seeing and remembering, not a casual plot. The enactment of the process allows the poem to simply stop without the generous consideration of the unities or a sustained narrative inside the poem or among the following poems. The so-called fragment then becomes a valuable unit of poetic composition. The speaker again questions the nature of the camp, or whether it is even a camp at all, but certainly it is not the Commander of the Scottish Rite, nor the Mills of Heaven which are said to grind finely but slowly, not the transparency of the world ash tree, nor the years of high school reunions, and then inserts a positive assertion about the reunion which is the support of “the body.” The poem, then, proposes a series of images of what has been seen, complete with some characteristics, and rejects them as explanations of the vision moment, “discrete moments” (29), as an inadequate vocabulary borrowed from sources other than the speaker himself. Then the meditation stops without coming to an enlightening conclusion, or a passage on to the next poem. An act of the imagination, “a butterfly,” ascends “up out of / each stroke of the pen.” The gap is measured, overcome not in the substance of what gets written about the hanging, the rain and the shelter, but in the process of writing about what is seen. Irby’s poetics are, again, the result of an exchange, in the give and take of all relations, as cycles of resurrection rise and are resolved in, further senses of giving and of interplay, i.e., there is no sense of closure in the work, except as each piece leads into the next; the one consistent thing is a sense of ecstasy and accuracy combined that borders on distortion, a tearing away from old orders to new ones. The appearance is itself a process of tearing down old orders and ideas to embrace new ones, and by choosing a related process of finding the vocabulary of vision, the poems come closer to expression than using a visual image. The poems can be considered fragments, and they might be as fragmentary as the vision itself, but they are reliable enactments of the perceptions. Irby’s poems begin before the publication of most of Charles Olson’s The Maximus Poems and before the publication of Robert Duncan’s Roots and Branches (1964) and Bending the Bow (1968) but the thinking of both poets appears in Irby’s poetics. This is not a situation of straight borrowing, but Irby reading out what relates to his poetics in Olson’s and Duncan’s and then adapting it for his use. The concepts of open forms, the poem achieving its form from the inside and not from predetermined standards, the fragment as a viable medium, and the positing of a group of poems in a series without a sustaining narrative are essential aspects of Irby’s poetics. So is the situation of conceiving the poem as taking place in a field of information. Irby would have found such a situation in The Maximus Poems but also in Robert Kelly’s The Common Shore and in Gerrit Lansing’s The Heavenly Tree Grows Downward. Cultivating poetry with accompanying information was a feature of Io, a magazine where Irby and many poets published, along with Alcheringa, edited by Dennis Tedlock and Jerome Rothenberg. Irby managed his own procedures of bringing information into the poem as part of the activity of conceiving the poem, not as awkward footnotes. The principles of poetics mentioned here place Irby’s poetry in the direct line of modern poetry from Ezra Pound to William Carlos Williams to Charles Olson, Robert Duncan, Robert Creeley, and Robert Kelly. Other poets, like Irby, not on the center stage of the literary world, arrived at similar concepts of serial form; they include Theodore Enslin, John Taggart, Susan Howe, Michael Palmer, and Nathanial Mackey. In the 1980s and 1990s Language Poetry seized center stage. Lyn Hejinian published Irby’s pamphlet Archipelago (1976) from her Tuumba Press but that connection was based on writing, not ideology. The ideology came later with essays and poems by Charles Bernstein, Barrett Watten, and Ron Silliman, but Irby was not part of that movement, and even declined invitations to write about that group in the 1980s. Ridge to Ridge: Poems 1990–2000, the period when Language Poetry held the loudest microphone, came forward with a proposition of a serial, visionary poetics to participate in a group of poets who have asserted major and consequential accomplishments in contemporary literary history. Some of Irby’s early poems appeared in Io, and now Richard Grossinger, Io’s editor, returns with his North Atlantic Press to publish Irby’s The Intent On. The great wheel of the plains turns again. 2. James C. Malin, The Grasslands of North America: Prolegomena to Its History with Addenda and Postscript (Lawrence, KS: Malin, 1947; Gloucester, MA: Peter Smith, 1967). 3. Thomas Meyer, “Our Neglected Study: Irby’s Catalpa Considered Obliquely,” Credences 7 (February 1979): 29–38. 4. Edward Schelb, “‘Race of readiness before o’ertaken’: The Allegorical and Pastoral Art of Kenneth Irby,” Notus 10 (Spring 1992): 2, 214. 5. Rudolph Otto, The Idea of the Holy: An Inquiry into the Non-rational Factor in the Idea of the Divine and Its Relation to the Rational, trans. John W. Harvey (London: Oxford University Press, 1969). 6. In an interview, Kenneth Irby mentions Adolph Bandelier’s book The Delight Makers, about the canyon which is now part of a state park bearing Bandelier’s name. See Barry Alpert, “Ken Irby — An Interview,” Vort 3 (Summer 1973): 57. 7. The reference to Freud also confirms the place of Carl Sauer in Irby’s thinking. 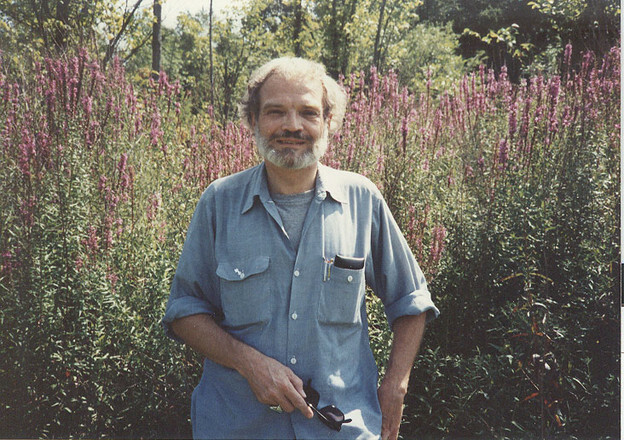 Sauer wrote in his article “Recent Developments in Cultural Geography,” to make the point that cultural landscapes are made up of “the forms superimposed on the physical landscape” (2, 209). 8. Carl Sauer, “The Morphology of Landscape,” in Land and Life: A Selection of Writings from Carl Ortwin Sauer (Berkeley: University of California Press, 1974), 337. 9. Irby would have also found this idea of “cultural geography” in the writings of James C. Malin, for example, in The Grasslands of North America: “Treated in its own right, the history of a geographical area includes a consideration of all that has been present or is present within the bounds chosen. Proper subjects of study, from this point of view of geographical area, are its geological history, its ecological history, and the history of human culture since the beginning of occupance by primitive men — in the case of the Western United States, some 10,000 years since man reached the Folsom cultural level. The term culture, as used here, is that of the archaeologist and anthropologist and denotes the sum total of a way of life” (471). 10. Albert Pike, born in Boston, later served as a General in the Confederate Army. Before the Civil War, he was elected Sovereign Grand Commander of the Scottish Rite, and after the war he retained that title in a career as a lawyer and writer; he published the book Morals and Dogma of Ancient and Accepted Scottish Rite of Freemasonry in 1871. Irby celebrates Pike in his poem “Homage to Albert Pike” (343), and his later poem “from The Camp the cries of the burnt Templars” refers to the Templars as well as to “the grand Commander” (422–23). Heredom is the title of a publication of the Scottish Rite Research Society; the name appears as a subsection of the book Call Steps, and later as a title of a poem (440), just before a reference to “the old degree” (441), another reference to the rituals of the Scottish Rite. The poem “[Reunion]” refers to “(Knight Rose Croix),” an advanced degree of the Scottish Rite; the poem also contains the lines “did Pike read Boehme? / out of the fire of Wrath and Civil War” (500–01), which is a quotation from Pike’s book Morals and Dogmas (above). I would guess there are many more references to Freemasonry and the Scottish Rite in Irby’s collection. 11. In his very perceptive essay, Edward Schelb calls the same stories I call parables “allegory” (1). He may be right. In a strict literary sense an allegory posits a one-to-one relationship between image and idea. Or, Good Works equals good works. I associate parables with the stories Wallace Stevens tells, of Canon Aspirin, for example, as possible ways of understanding an interaction between imagination and reality. In any event, Irby’s parables have the same propositional nature as Stevens’s. 12. In an article, Peter Bertollette cites Henry Corbin’s books Spiritual Body and Celestial Earth and Cyclical Time in Mazdaism and Ismailism in support of a very useful comment about Irby’s idea of home: Irby’s use of homeplace and “the heartland” “fits in with Corbin’s notion that the home is an organ of perception, where the heart lies, a place to be planted in, and shoot forth from.” See Peter Bertollette, “Ken Irby,” Credences 7 (February 1979): 28, and Henry Corbin, Spiritual Body and Celestial Earth: From Mazdean Iran to Shi’ite Iran, trans. Nancy Pearson, Bollingen Series XCI:2 (Princeton: Princeton University Press, 1977). Don Byrd also adds a fine perception about Irby’s idea of home: “To make a play stay put by knowing what its uses is what Irby means by making a home.” Don Byrd, “Ken Irby and the Missouri-Kansas Border,” Credences 7 (February 1979): 9. 13. Eric Fenby, Delius as I Knew Him (London: Bell, 1936). 14. 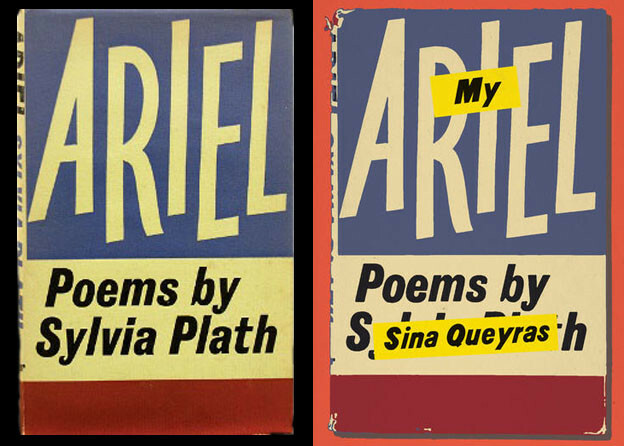 The idea of a “gap” is familiar to readers of the poetry of George Oppen, who thought the gaps between words and between the sounds of words contain rhythms and meanings that reinforce the actual words of the poem. Irby uses the word “gap” as a space between a physical landscape and an imagined one. In another reference to Oppen’s poems, to the title Discrete Series, Irby writes about “discrete moments” of vision in his own poems. He continues sounding very much like Oppen: “Thus in the sequences as they piece by piece go and return, quietnesses, the pauses, the spaces between, are toward regeneration too” (29). 15. Arthur Hutchings, Delius: A Critical Biography (London: Macmillan, 1948); Richard Jefferies, The Story of My Heart: My Autobiography (London: Constable, 1947). 16. Charles Olson, The Maximus Poems, ed. George Butterick (Berkeley: University of California Press, 1983), 473. 17. Jed Rasula, “On Ken Irby,” Credences 7 (February 1979): 44. 18. Dale Smith mentioned that the reference to “Climatology of Attention” might be a reference to Henry Corbin’s discussion of the “Eighth Climate” in his Spiritual Body and Celestial Earth. (Dale Smith, email to the author, 21 April 2011). Corbin writes: “The Eighth Climate is the mundus archetypus (’ãlam al-mithãl), the world of Images and archetypical Forms. Actually, the only universe that possesses dimensions and extent is the one that is divided into eight climates. Seven of them are the seven geographical climates with dimensions and extent which are perceptible to the senses. The eighth climate is the one whose dimensions and extent can only be grasped by the imaginative perception” (126–27). That Corbin’s discussion has a geographical basis provides another correspondence which would make more feasible a reading that says that the study of the various climates of perception is not the same as studying the extension of empire. With that noted, it might be permissible to quote “the mountains surrounding our universe” are “formed entirely of emerald, like the reflection which produces the color green” (Corbin 74) and relate the color green to Irby’s high school vision of “the green tree” and “the green crystal craze in my veins” (66). In addition, Irby’s ideas of paradise could contain more than the spirit of Kansas and Christianity. Corbin could add: “The way of seeing the Earth and the way of seeing the soul are the same thing, the vision in which the soul perceives itself; this can be its paradise, and it can be its hell” (82). See also Peter Bertollette’s comments above. 20. Ezra Pound, Selected Prose 1909–1965, ed. William Cookson (London: Faber and Faber, 1973). 21. I suspect this could also be a reference to Giorgio De Santillana’s book Hamlet’s Mill: An Essay on the Myth and Frame of Time, which was a much-read book of the period. 22. Charles Olson, Collected Prose, eds. Donald Allen and Benjamin Friedlander (Berkeley: University of California Press, 1997), 247. 23. Stephen Ellis, “Observations On, and Ruminations Over, Kenneth Irby’s Call Steps,” Lift 14 (April 1994): 2, 21. 24. Robert Duncan’s poetic thinking with quotations from his prose and poems, especially his ideas of the numen, and the search for a fitting language, appears more than other poets to inform Irby’s poetics, including the unacknowledged, italicized quotation from Duncan’s “Go, My Songs, Even as You Came to Me”: “& would it be body to / make zealous liberalities a gift taken from” (477). Duncan, Groundwork: Before the War (New York: New Directions, 1984), 122. In the preface to Movements / Sequences Irby quotes Duncan’s statement about “‘the dwelling of the imagination in the speech,’” and then continues: “I would follow Duncan in what he shows me of that process, as best I can” (29). 25. While Irby mentions only a few contemporary poets, he was as aware of the various writing scenes as he was aware of the company of poets he thought part of his poetic geography. A partial list of the poets mentioned in this collection includes: Percy Bysshe Shelley, Walt Whitman, Arthur Rimbaud, Friedich Hölderlin, Walter de La Mare, Virgil, Sir Thomas Browne, Robert Grenier, Thomas Meyer, Jonathan Williams, Gerrit Lansing, Robert Kelly, Larry Goodell, Thoreau, S. T. Coleridge, Dante, Thomas Vaughan, Ezra Pound, Paul Metcalf, John Moritz, Alfred Lord Tennyson, Eugene Ware, Gérard de Nerval, Harry Martinson, Johannes Bobrowski, HD, Lao Tzu, Gunnar Ekelöf, Rainer Maria Rilke, Louis Zukofsky, Frederico Garciá Lorca, Edward Dorn, Osip Mandelstam, Robert Duncan, Charles Olson, Richard Lovelace, and Ron Loewinsohn.